Tada! 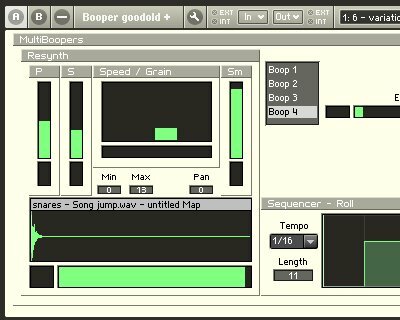 The initial release of the Frame looper, made to emulate the realtime-manipulable start and loop points of Ableton’s Simpler instrument. It’s a powerful and convenient way to play with samples, which makes the dearth of samplers that can do it so shocking. Frame Beta 0.3 from Peter Dines on Vimeo. In this clip I’m alternately adjusting start and loop points by clicking and dragging on the waveform, and using the knobs. The knobs can be mapped to MIDI controllers or (better) the high-res knobs on the Kore 2 controller. Initially I had tried to do this with the sample loop module, but that caused clicks because of the lack of crossfade / ramping. Eventually I hit on the idea of using a grain cloud module with grain overlap set to one – so the single grain, in effect, is acting as a loop. And the great thing about the grain cloud module, unlike the grain resynth, is that the grain can be arbitrarily long. 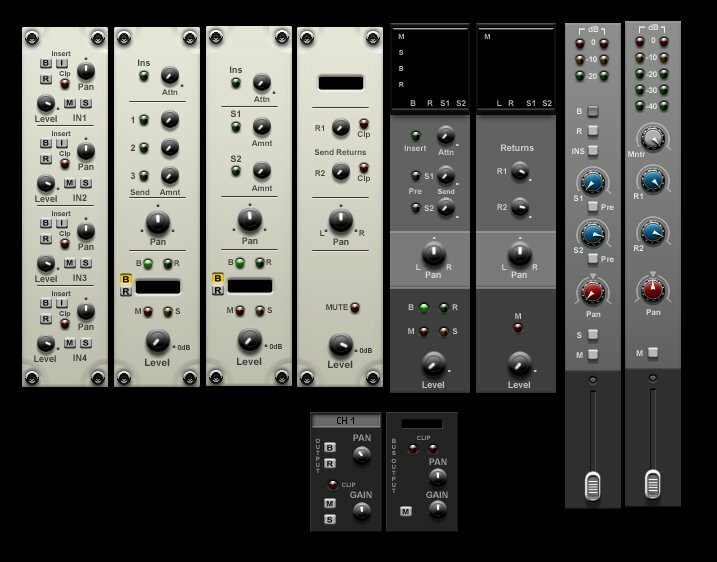 When I interviewed Phil Durrant, one of the things that came up was the lack of a split library in Reaktor 5 – there were only “premium” bells and whistles ensembles, and no simple, easy to modify examples. 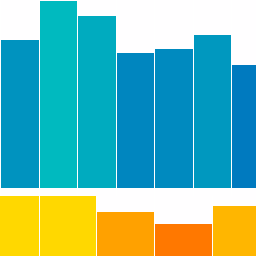 Frame is an instrument that tries to do just one thing, and do it well, with a clean easy to modify structure. 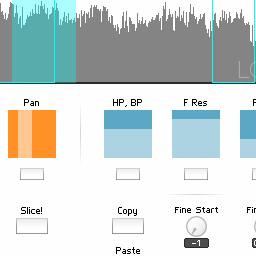 This entry was posted in Downloads, Ensemble, ensembles and tagged Ableton Live, Freeform Looper, instrument, reaktor, Screencast, Simpler on March 11, 2009 by peterdines. 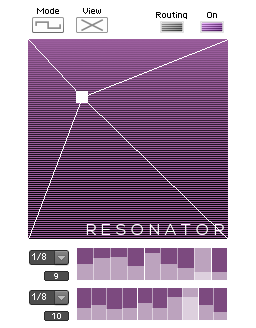 Here’s a peek at a Reaktor drum machine I’m working on and a couple of grooves it created. This entry was posted in Uncategorized and tagged drum machine, groove, reaktor on March 10, 2009 by peterdines.